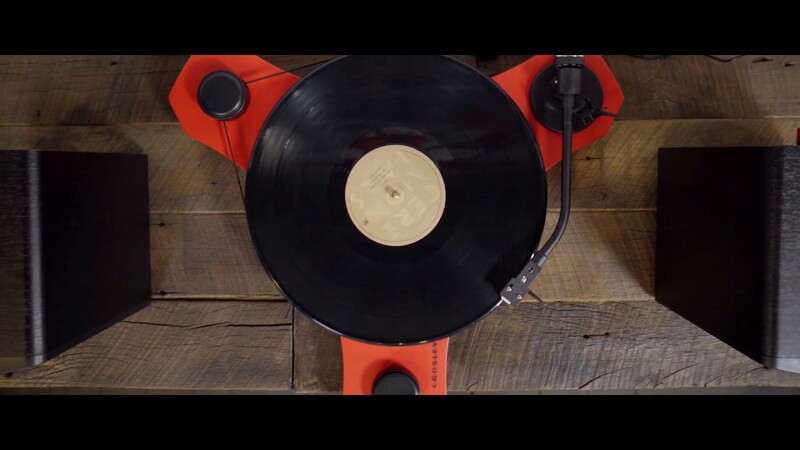 The Crosley C3 is a two-speed turntable that offers fully manual operation for a true analog experience. The audio-grade MDF plinth has an unique shape to give the turntable a stable foundation, isolate the low vibration synchronous motor, and to start conversations. A full-size steel platter is driven via external belt and provides a solid seat for your LPs and singles. The aluminum tonearm features an adjustable counterweight and 1/2” mount to allow for customization as your vinyl collection grows, but does come pre-mounted with a moving magnet cartridge. Plug powered speakers into the RCA outputs, dial in the speed with the large knob (33 1/3 or 45 RPM), use the queuing lever to gently drop the needle on your vinyl and you’re ready to rock.